Ten-year-old Ashwini, a fifth standard student, underwent a life-saving liver transplant BGS Global Hospitals. Ashwini’s health had begun to fail about six months before coming to the hospital, when her stomach bloated up and she developed jaundice. She was treated at the ESI Hospital, following which she was brought to BGS Global Hospitals with signs of liver failure, where she was assessed by the Integrated Liver Care (ILC) team. Dr Mathew Jacob, transplant surgeon said of the case-‘Soon, it became very clear that time was running out for this girl, and that she would require an urgent transplant. There were several hurdles to be crossed. 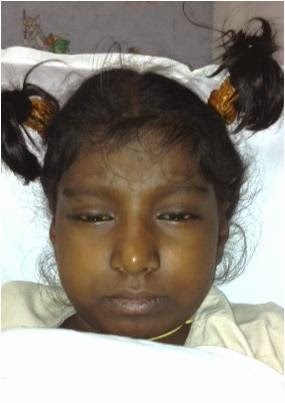 One, the surgery would be complicated as it was a pediatric transplant and Ashwini weighed only 20 kg. Two, the transplant would cost a lot. Her father, Hanumantha, who works at manufacturing firm on Mysore Road, earns Rs 4,500 a month, while her mother, Manjula works as BBMP’s cleaning staff, earning Rs 2,200. Most importantly, a donor had to be found quickly as her condition was deteriorating’. The ESI Corporation agreed to cover the cost of the transplant and BGS Hospitals subsidized the cost of surgery by 30%. 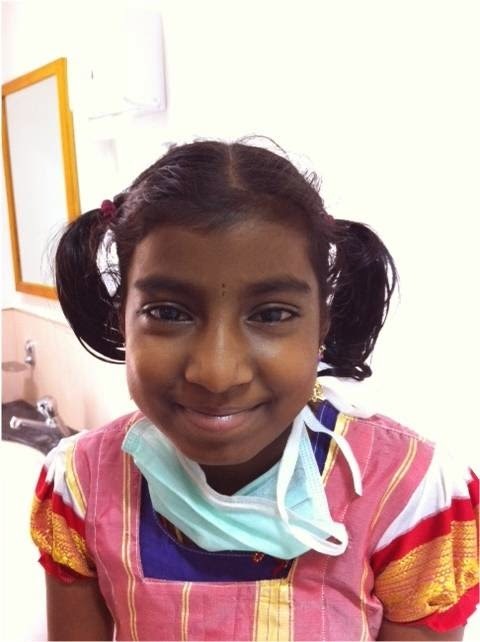 Although Manjula, her mother, had agreed to donate a part of her liver, Ashwini’s condition was deteriorating rapidly. Just when it seemed that she had run out of time, a cadaver organ donor became available. A team of 10-15 doctors carried out the 10-hour surgery. Since Ashwini was very small, only a part of the cadaver liver was used. Although she was very sick with liver failure, she made a steady and good recovery, and was ready to be discharged three weeks after her operation. However, the family’s living conditions were not conducive to maintenance of a transplant patient, who is rendered vulnerable to infections by immuno-suppressant drugs prescribed post-surgery. But Ashwini’s parents didn’t have proper sanitary facilities, clean drinking water and used firewood. Like a godsend, Hanumantha’s employer offered to provide them with accommodation, cooking gas and regular supply of mineral water for Ashwini. Hanumantha’s colleagues also contributed a part of their salary towards Ashwini’s treatment. Ashwini will be on medication for the rest of her life and will require regular check-ups, including blood tests. The Integrated Liver care team (ILC) approached several NGOs and charities to support the costs of her medication and laboratory tests. The family has not had to pay a single rupee towards her long term care. It has been two years since Ashwini had her transplant, and she has gone back to school and would like to grow up to become a doctor. ‘Not a day goes by that we do not thank the donor, without whom our daughter would be lost to us’, her mother Manjula said.